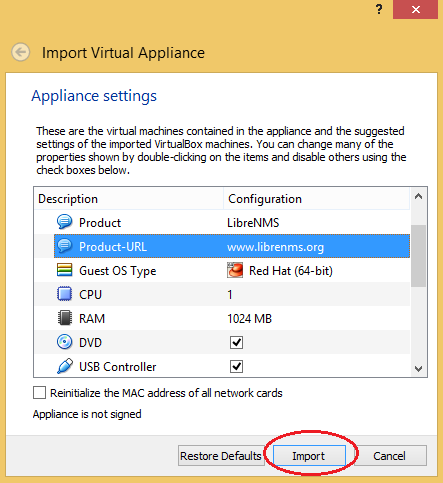 Note: Install Virtualbox to your computer with default configurations. Make sure that your Laptop / PC is supporting to 'Virtual Technology' in the BIOS. 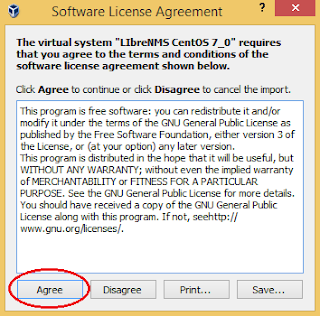 Otherwise your PC will not support to import 64 bits OSs to the Virtualbox. 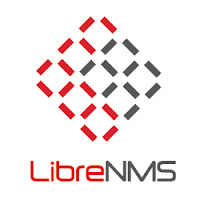 Once the importing process is over, Go to the settings of the LibreNMS virtual PC and change the network card settings as bellow. Select the Bridged Adapter and Physical Interface driver from drop downs. Thereafter, Change the IP address of the physical interface to set it to the same network that your Virtual PC is connected. You can check the IP address of the Virtual PC by login to it's CLI. Use following login information and the command 'ip add' will give you the existing IP configuration.